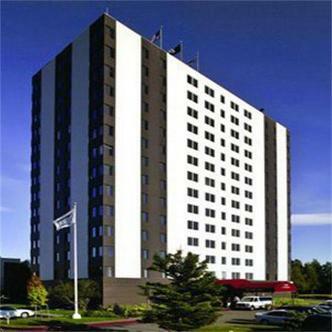 The Inlet Tower hotel suites is located near the AlaskaCenter for the performing arts, the Egan convention center, the Tony Knowles coastal trail, and Ted Stevens anchorage International Airport. We offer our guests many amenities including in-room microwave and refrigerator, coffee maker, cable tv, new in-room movies, cd clock radio, free local calls, guest laundry, 24-hour courtesy airport and railroad shuttle, and ample parking. We now have high speed internet access in all of our rooms and wireless internet available in our lobby. Our full service restaurant specializing in regional comfort food with a twist. Enjoy our outdoor patio. We have meeting/banquet space available and catering services for all occasions and will be happy to work with you to meet your needs. Our staff is willing to go the extra mile for your comfort and make your stay as pleasant as possible. The inlet tower hotel suites are perfect for your business or vacation travel.Other amenities include airport/local shuttle, ample parking, on-site laundry facilities, and business center.